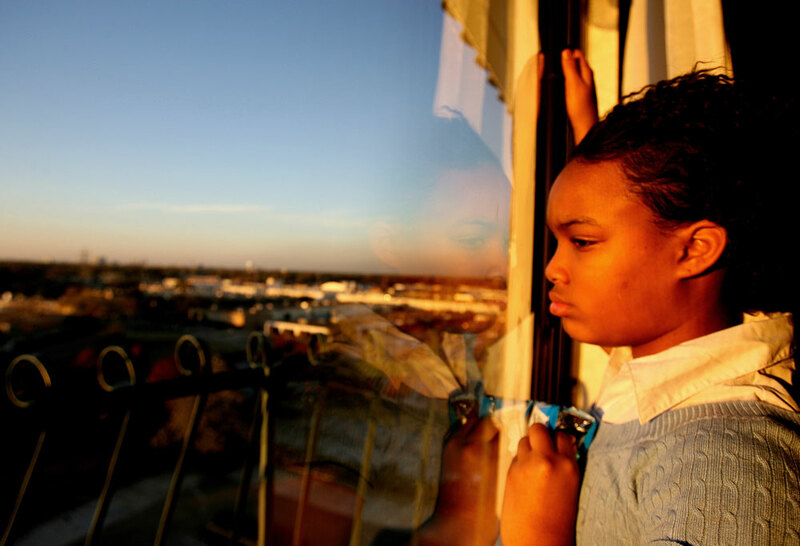 Brittany Powell, 13, looks out her hotel window in late December 2005 at the Windsor Suites Hotel in Houston. She and her family were Katrina evacuees who had been living in hotels for 4 months. She and her 5 siblings and cousins had been out of school since the hurricane.